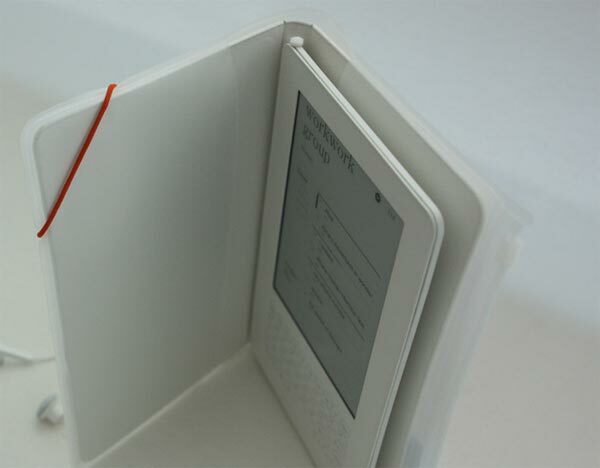 It seems like iRiver is bringing out an E-Book reader which looks very similar to the Amazon Kindle, the iRiver Story. As you can see from the photos, the iRiver Story features a full QWERTY keyboard, a 6 inch screen, an SDHC card slot that will take cards up to 32GB, unfortunately there is no WiFi. The iRiver Story will support multiple file formats without conversion, including PDF, E-Pup, txt, e-comics and Microsoft Office documents including Powerpoint, Word and Excel. It will go on sale in Korea this month for around $300, there is no word on pricing or release dates for the US and Europe as yet.